St. Charles City-County Library - Spencer Road Branch, 427 Spencer Rd. 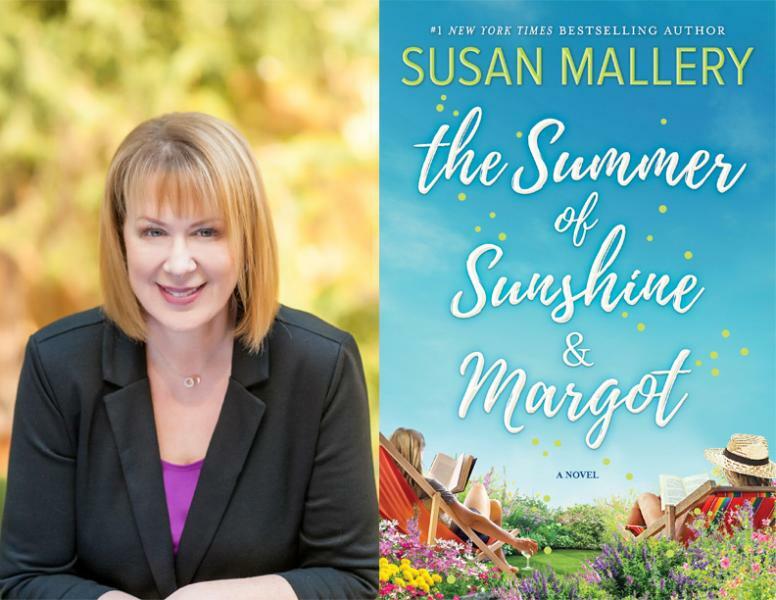 Left Bank Books and the St. Charles City-County Library welcome NYT bestselling author Susan Mallery, who will sign and discuss her new novel, The Summer of Sunshine and Margot! The Baxter sisters come from a long line of women with disastrous luck in love. As an etiquette coach, Margot teaches her clients to fit in. But schooling aging movie star Bianca on behaving like a proper diplomat’s wife requires intensive lessons, forcing Margot to move into the mansion owned by the actress’s intensely private son. Alec's stony exterior hides secret depths Margot would love to explore. Will he trust her enough to let her in? Sunshine has always been the good-time sister, abandoning jobs to chase after guys who used her, then threw her away. This time, she’ll finish college, dedicate herself to her job as a nanny, and she 100 percent will not screw up her life again by falling for the wrong guy. Especially not the tempting single dad who also happens to be her boss. Tickets available below. Please note: those who purchase a ticket and do not attend the event must pick up their copy of The Summer of Sunshine and Margot or contact Left Bank Books to arrange for shipping within 60 days of the event. No refunds will be granted after 12pm on Wednesday, June 12th.